I forgot to ad the new poster for Looper starring Bruce Willis and Joseph Gordon-Levitt - a time travel assassin action drama. (Don't shoot yourself when you are younger McFly Bruce. 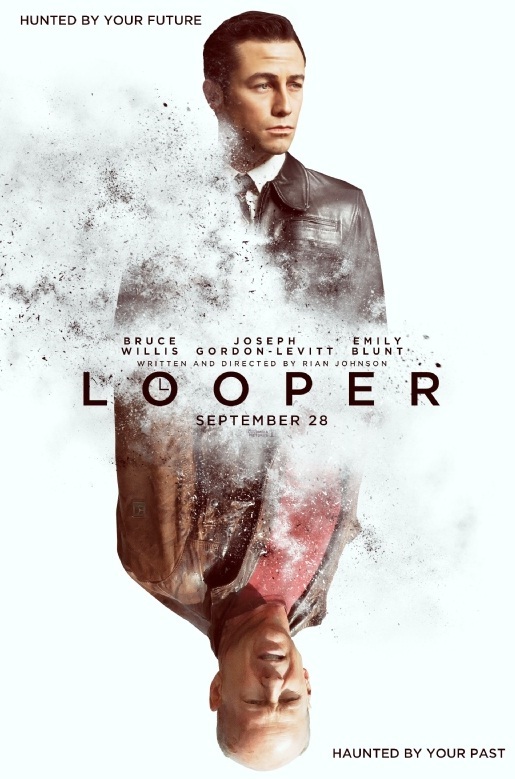 I hope this is a good film as i like Gordon-Levitt very much, now a big screen actor who mixes independents with big flicks. (IE plays the game well), but always performs well. This could be one of those films that Willis delivers in, however the addition of the younger actor as a foil should raise the bar one hopes Equally good news is Paul Dano is in the film, as a character called Seth; I have enjoyed Dano's work ever since i caught him in the fantastically underrated Little Miss Sunshine.